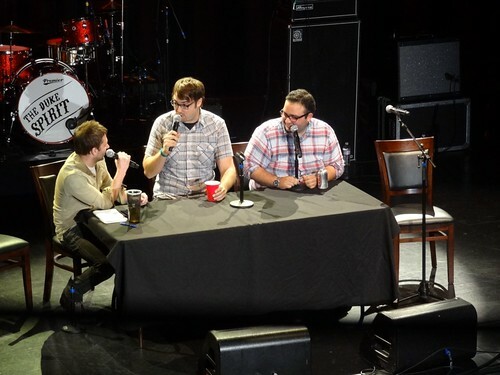 Episode 29: Nerdist Live in LA #1: Jonah Ray! Exciting journey to LA. Getting the vapors & a visit to Marina Del Ray Emergency Room. The Nerdist Podcast over view part I. Opening music “Open Up Wide” under the direction of Brian Cardanay 2008 URI Marching Band. The closing song is “Do it anyway” unreased song by Ben Folds Five. Download the song here!